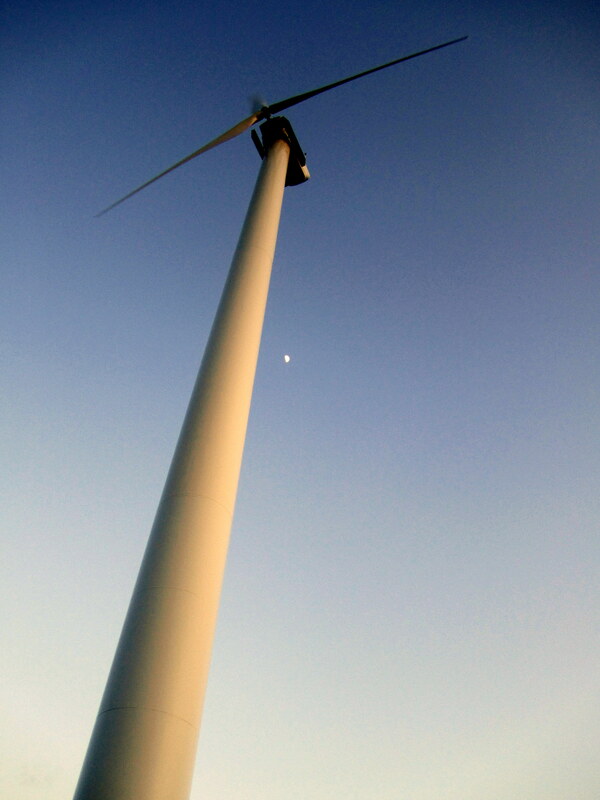 I thought it would be fun to do “Wordless Wednesday” posts for a while. If you aren’t familiar with the concept, it’s when bloggers post a photograph with no words to explain it on their blog. The idea is that the photo itself says so much that it doesn’t need any description. (Obviously, today is an exception to the wordless rules, because I wanted to introduce the series.) I really want to spend more time thinking about the shots I’m taking and not just pressing buttons, so I thought dedicating one day to photographs only might make me pay a little more attention…plus, let’s be honest, it saves me writing time! For the next few weeks, I’m going to dedicate Wordless Wednesday posts to my favorite things about Nantucket, so hopefully you’ll get to see some good pictures of things that make this faraway land so wonderful. In honor of the ridiculous wind we have been having (seriously, we’re running out of food!) 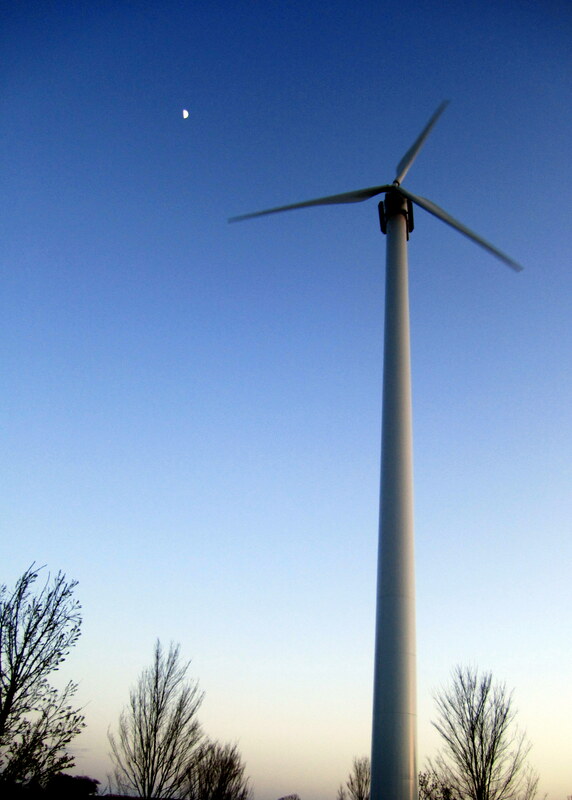 I thought I’d start with our wind turbine. Next week, no words, and in the meantime, let me know what you think about this concept. Boring or interesting? Would you rather have words? I like it! But you know me, I’m pretty easy to please. 🙂 I say go for it. What do you mean you are running out of food? Are the ferries docked because of the wind? Yep. 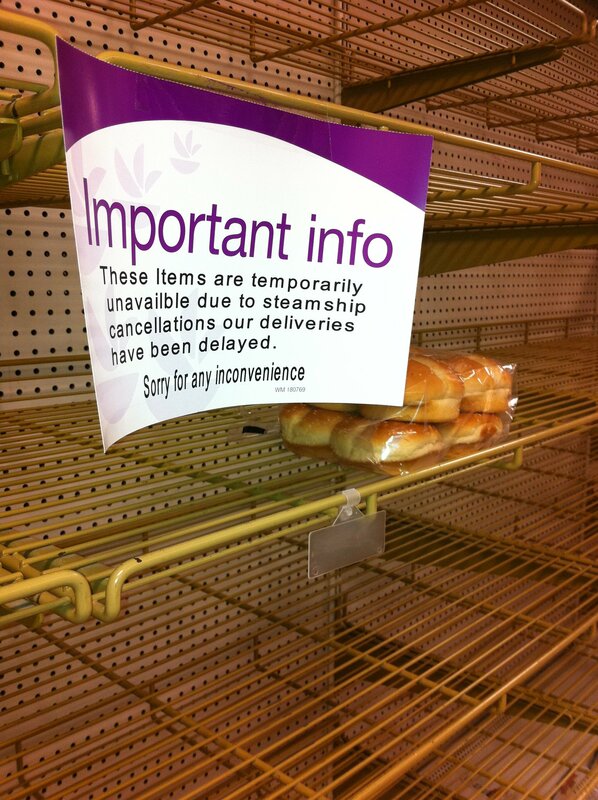 If you click on the link, it’s a picture of the empty bread aisle at Stop & Shop with a sign explaining that they haven’t been receiving shipments because of the ferry cancellations.